*January 2019 has got to be the month with the least amount of blog posts. A measly three 😦 I’d love to put up more but I’m always so exhausted / uninspired / too busy. It’s unlikely I’ll have more time in the coming months but a girl’s gotta try, right? 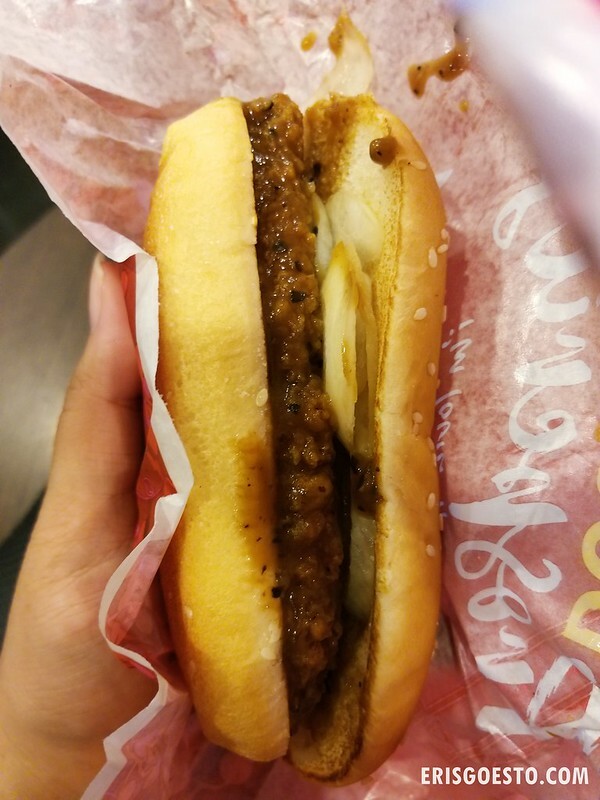 So Chinese New Year is just around the corner and McDonalds has brought back their popular Prosperity Burger – available for a limited time only. I’ve never been a big fan, but people seem to like it enough for the company to keep having it every year. This time around, they’ve even added a new option – the Fish Prosperity Burger, in addition to the regular chicken and beef. The set comes with a side order of curly fries and an orange fizzy drink. 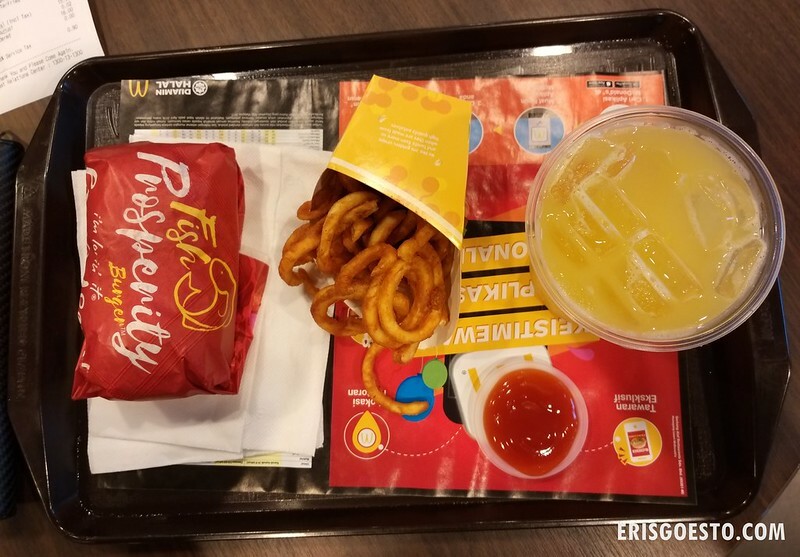 Unlike KFC and its ‘new’ offerings which are just tired, lazy rehashes of the same chicken with different sauces and toppings, McDonalds actually puts effort into developing their products, as evidenced by last year’s Nasi Lemak Burger . And since it has been years since I had a prosperity burger, I thought now would be a good time to try the new fish offering. The regular set, which costs RM16. 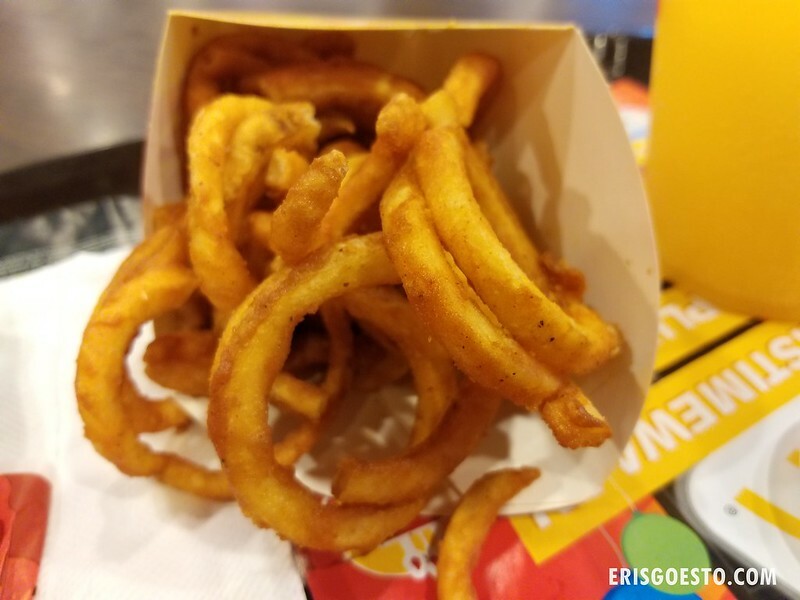 The curly fries were not half bad. Much crispier than the A&W ones, but also kinda salty. Portions were generous for a ‘regular’ option. This was probably the first time I’ve been disappointed in a McDonalds burger. I’d chalk it up to me not liking the Prosperity series very much to begin with, but I guess fish + black pepper just don’t go too well. The fish had zero taste as it was completely overwhelmed by sauce. All I could taste was onions and black pepper. The sauce itself wasn’t great either, as it didn’t have enough flavour, just an overwhelming taste of onions. Guess I’ll just stick to my Grilled Chicken Burger or Spicy McChicken from now on. The burger looks tiny! I thought from the pictures on the publicity it would be more the size of the old BK bean or chicken burgers. Anyway, they should bring out a veggie prosperity burger too, especially as some people go vegetarian for first of the lunar month including CNY. You’re right! Maybe an idea for them to implement next year. 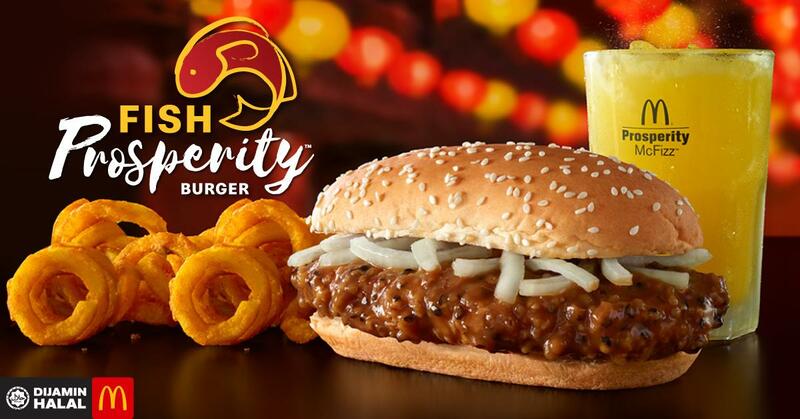 I look forward every year for beef prosperity burger! At other times I seldom visit McDonalds. Thank you for reviewing the Fish Prosperity Burger. Was wondering how it would have tasted. I just went to McDonald’s yesterday to get our prosperity beef burger fix and prior to ordering I was advised that the Fish Prosperity burger was out stock ..